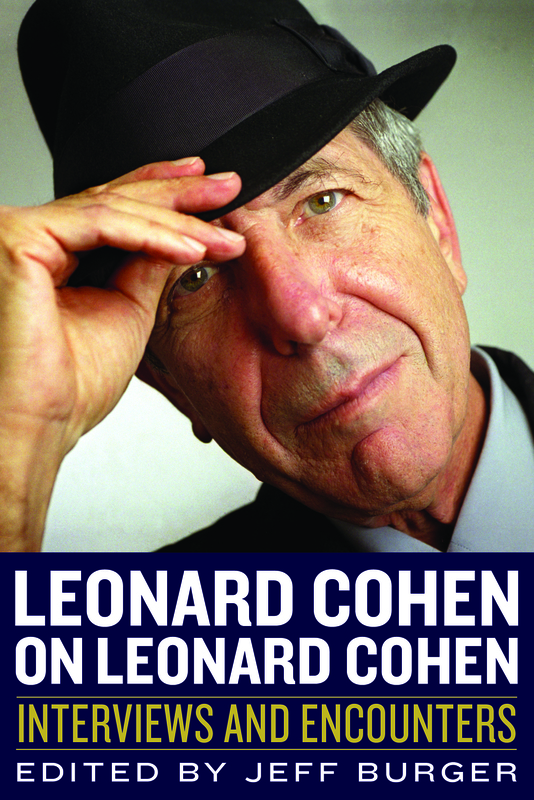 Leonard Cohen on Leonard Cohen: Interviews and Encounters contains more than 50 features spanning nearly half a century—from 1966 to 2012—from the U.S., Canada, England, Spain, Greece, Australia, and Scandinavia. Some of the pieces come from small publications, others from large media such as the New York Times, Rolling Stone, and the Canadian Broadcasting Corporation. Approximately 25 percent of the material has not previously been printed anywhere. A few of the print pieces have not previously been published in English and some of the material has not previously been available in any format, including the many reflections and reminiscences that contributors supplied specifically for this project. The 624-page book features acclaimed journalists such as Mikal Gilmore and Paul Williams, a foreword by singer/songwriter Suzanne Vega, and eight pages of rarely seen photos. Chicago Review Press published the book in North America in April 2014. Hardcover, paperback, and ebook editions are available from Amazon in the U.S. and Canada, and wherever books are sold. A U.K./Ireland/Australia/New Zealand paperback edition is available from Omnibus Press, a Hungarian paperback edition is available from Park Publishing, a Turkish paperback edition is available from GeoTurka, an Italian paperback edition is available from Saggiatore, and a Spanish edition is available from Planeta. Watch Out for "Killer B's"